New York Times bestselling authors Orson Scott Card and Aaron Johnston return to the prequels to Ender's Game following The Swarm with The Hive, book two in the Second Formic War. 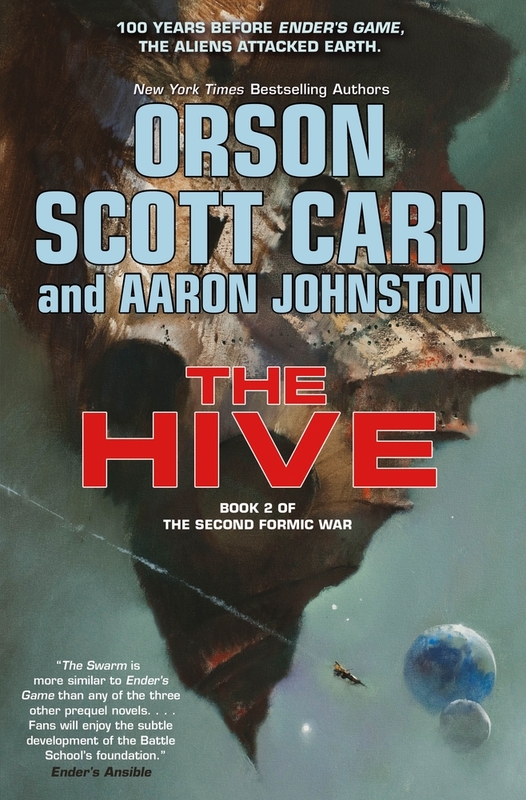 Card and Johnston continue the fast-paced hard science fiction history of the Formic Wars—the alien invasions of Earth’s Solar System that ultimately led to Ender Wiggin’s total victory in Ender's Game. Ender's Game is one of the most popular and bestselling science fiction novels of all time. The Formic War series (The First Formic War and The Second Formic War) are the prequels to Ender’s story. AARON JOHNSTON is the coauthor of The New York Times bestselling novels Earth Unaware, Earth Afire, and other Ender's Game prequel novels. He was also the co-creator and showrunner for the sci-fi series Extinct, as well as an associate producer on the movie Ender’s Game. He and his wife are the parents of four children.